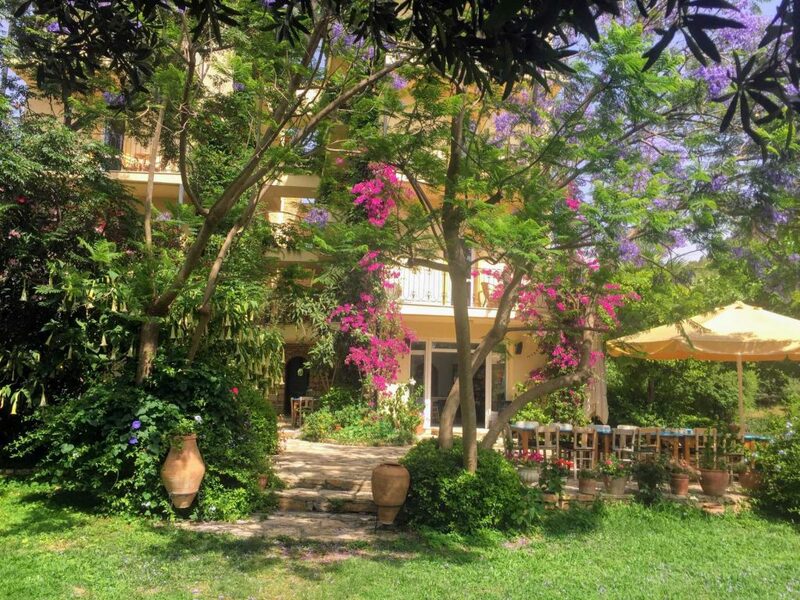 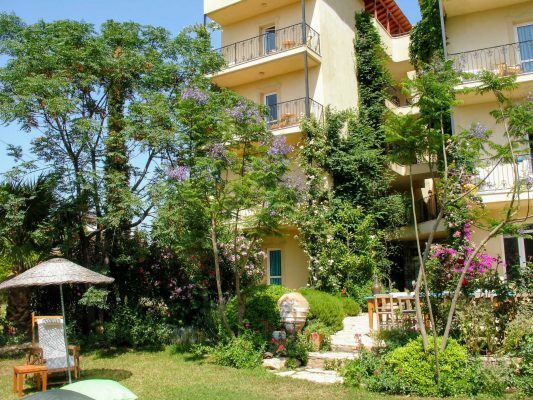 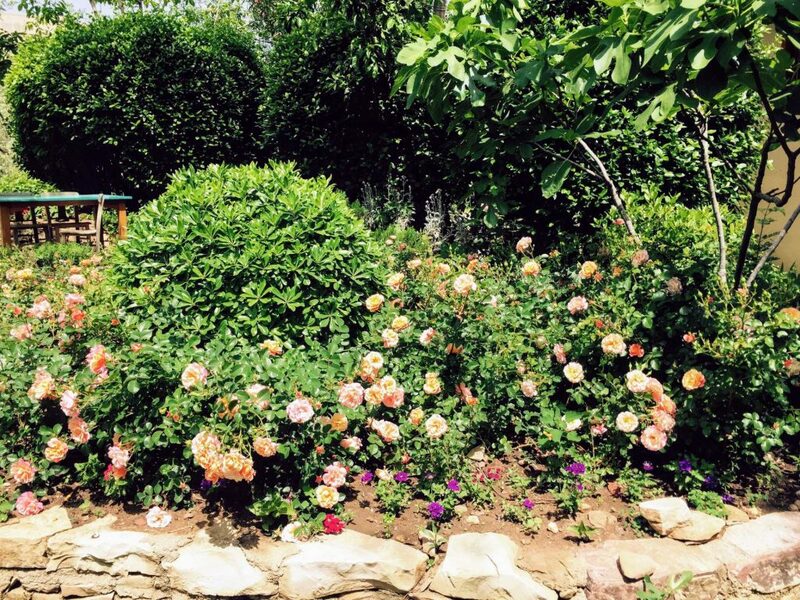 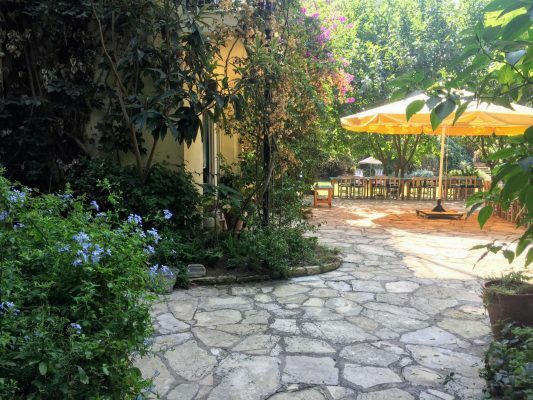 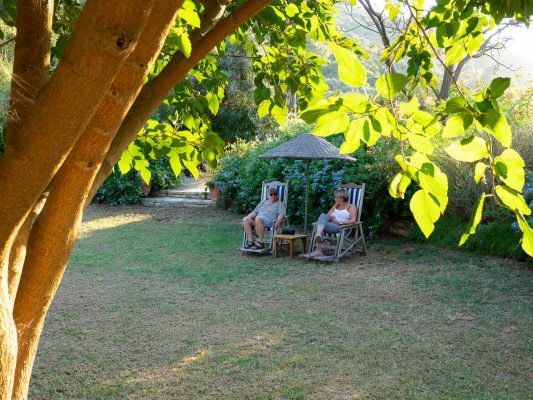 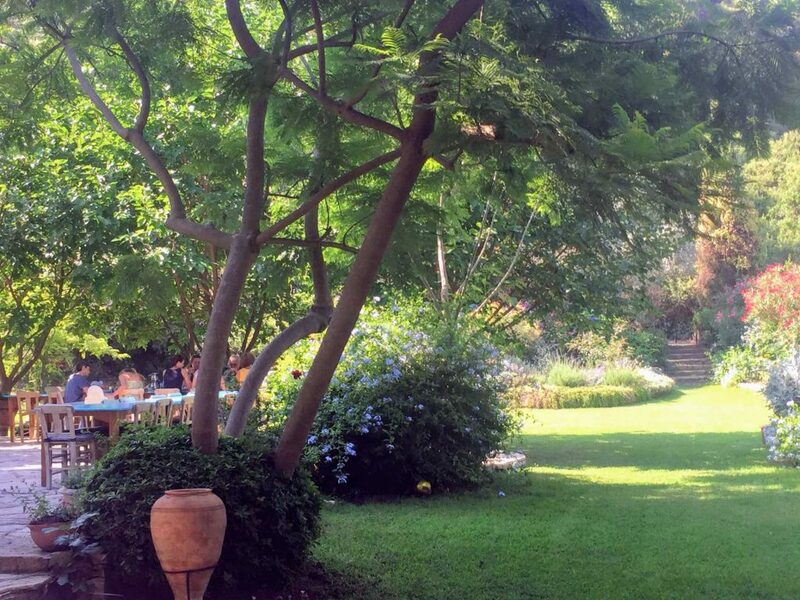 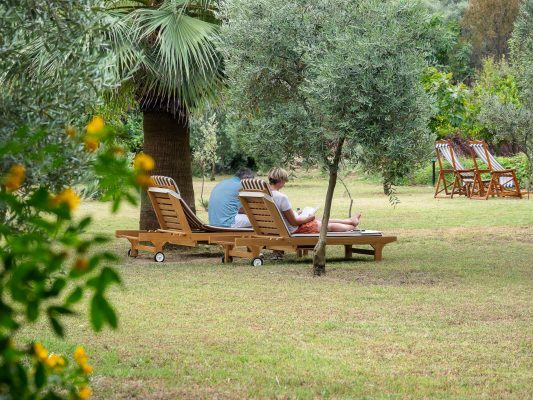 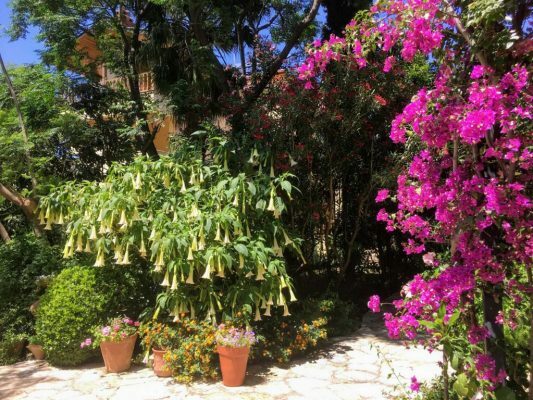 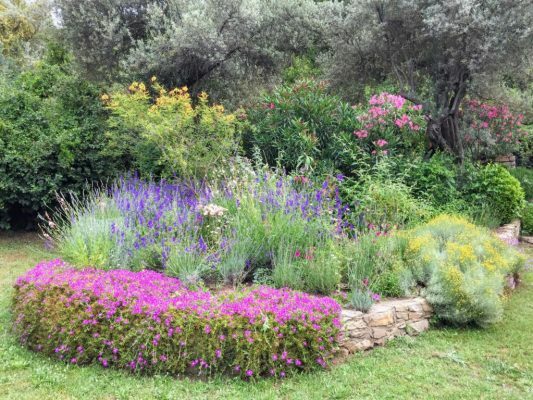 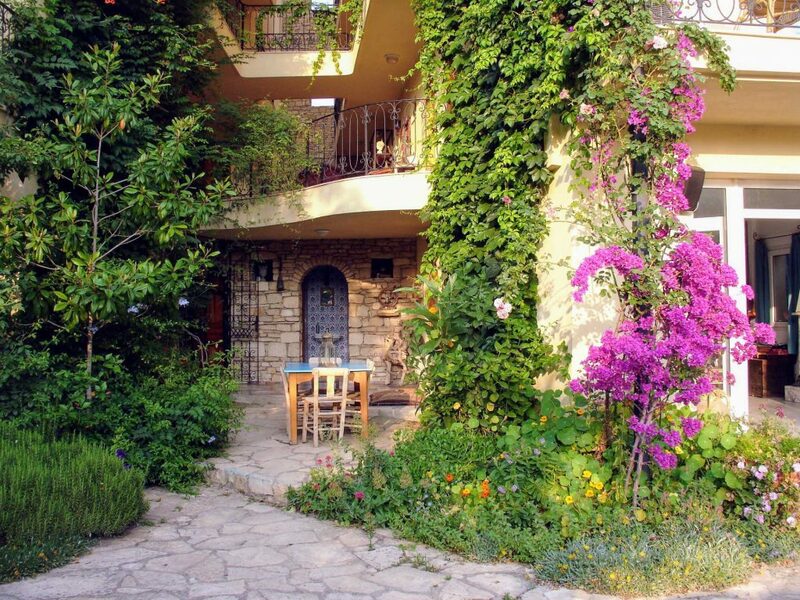 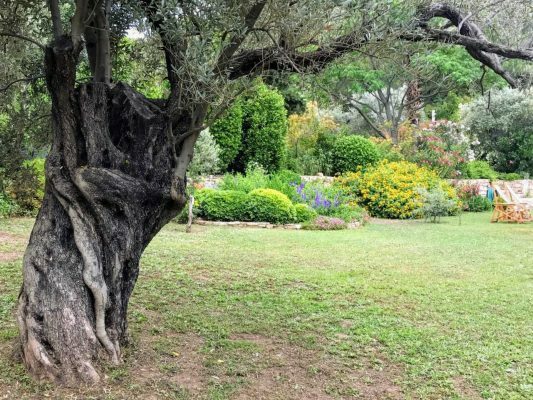 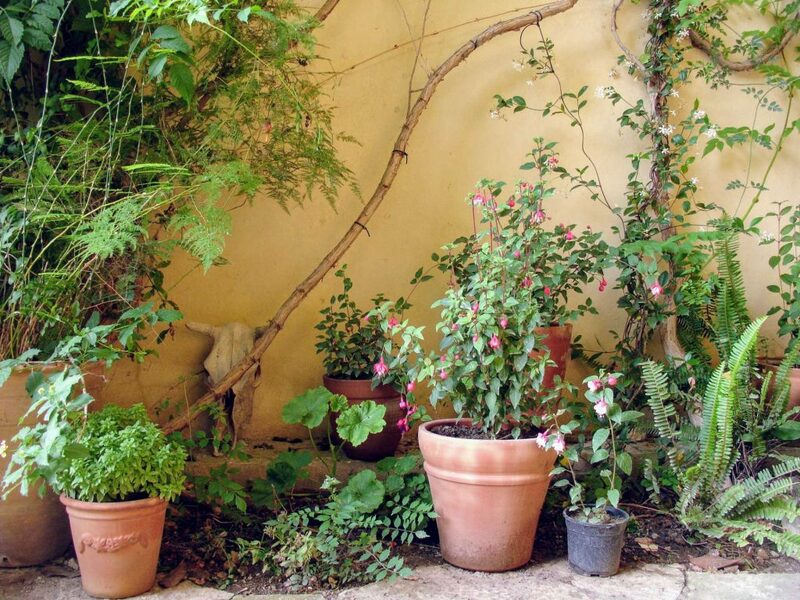 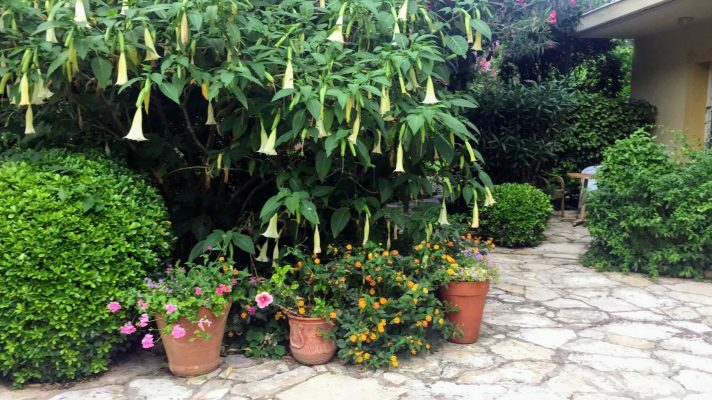 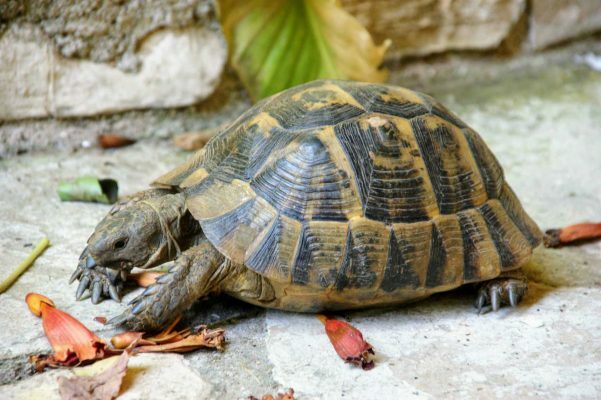 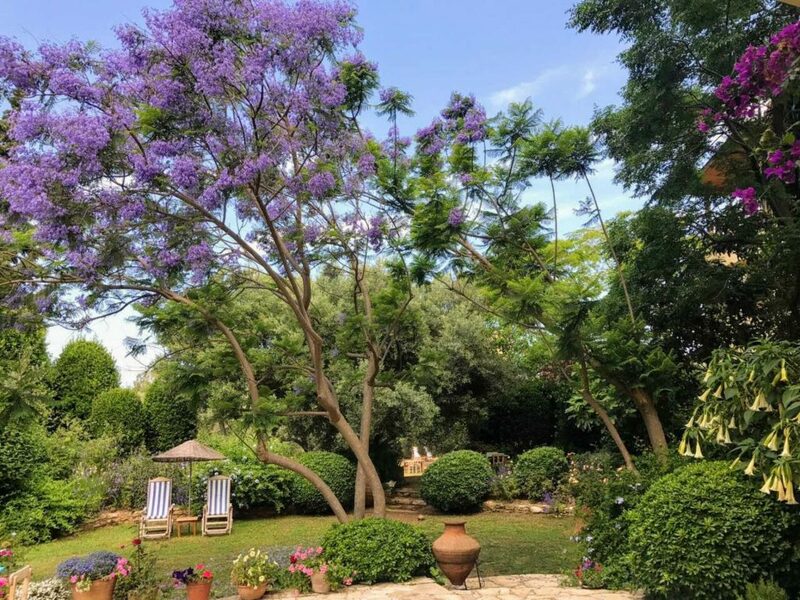 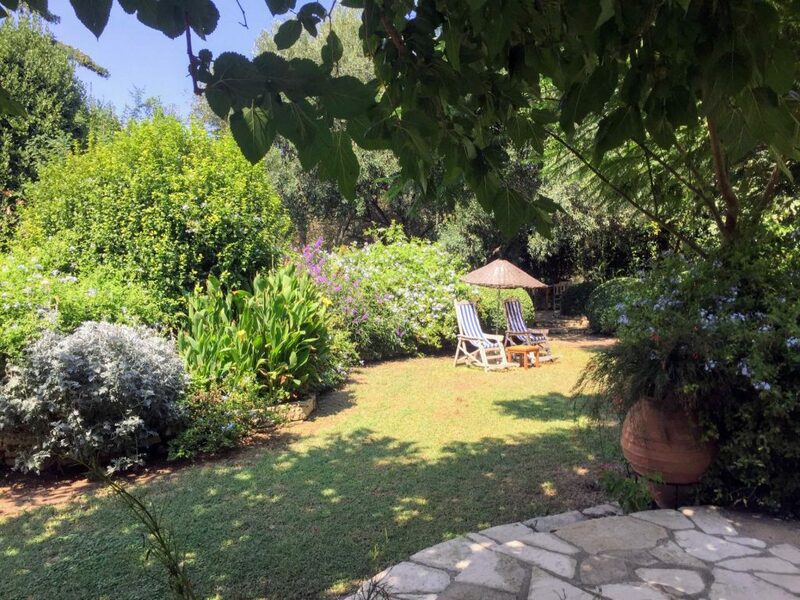 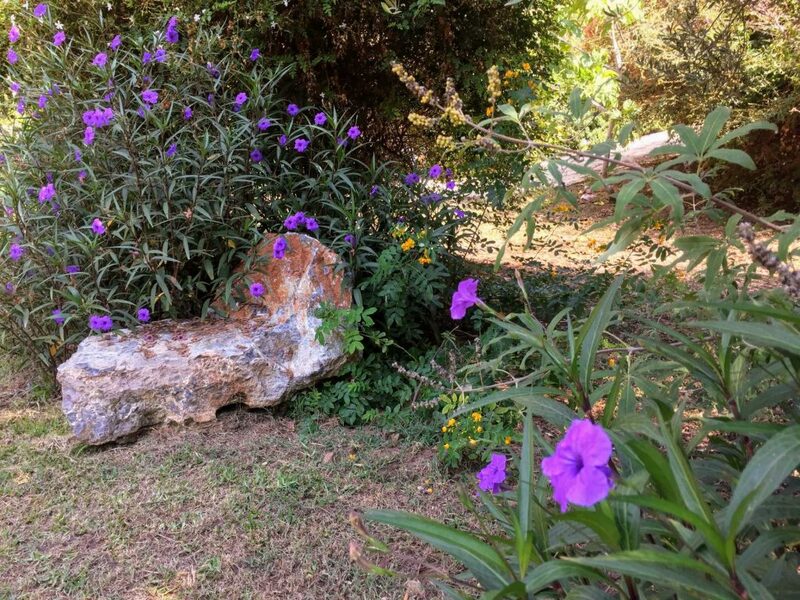 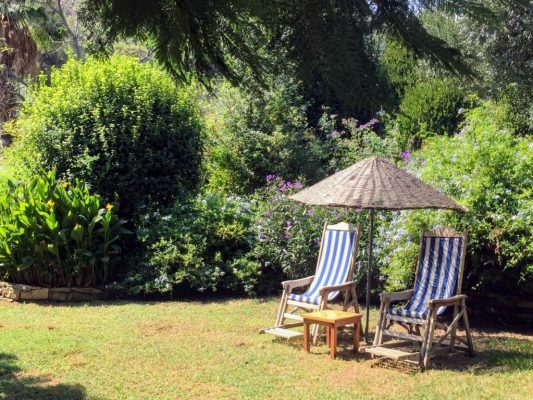 Emel Pension is surrounded by a lush, romantic, Mediterranean garden measuring 6500m², with oleander, jasmine, lavender and roses growing in abundance. 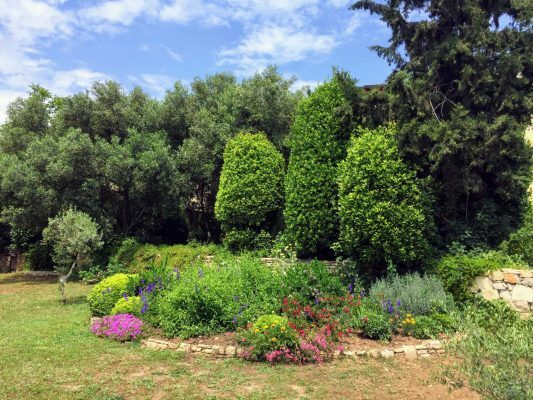 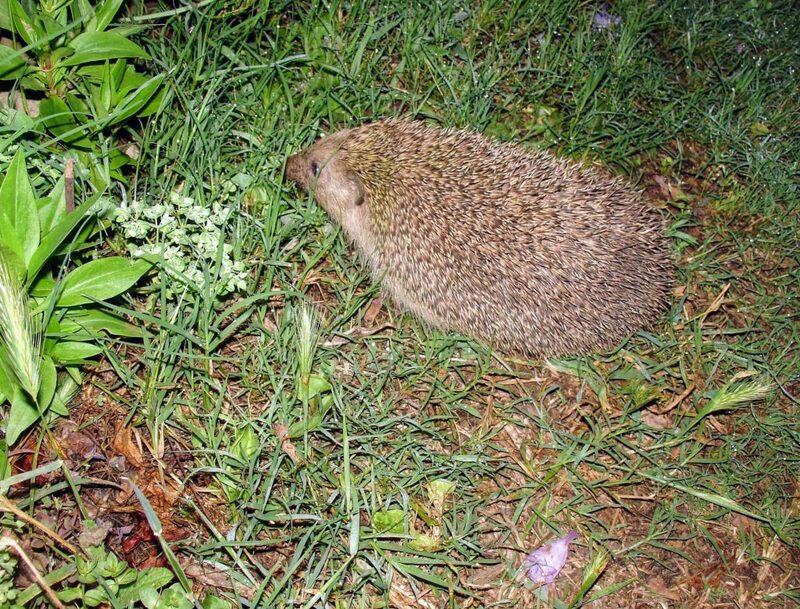 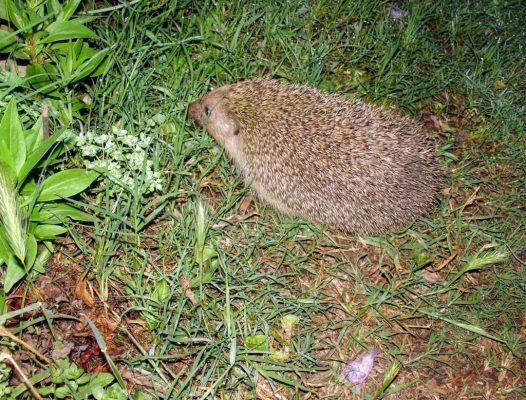 The garden blends in wonderfully with the surrounding countryside. 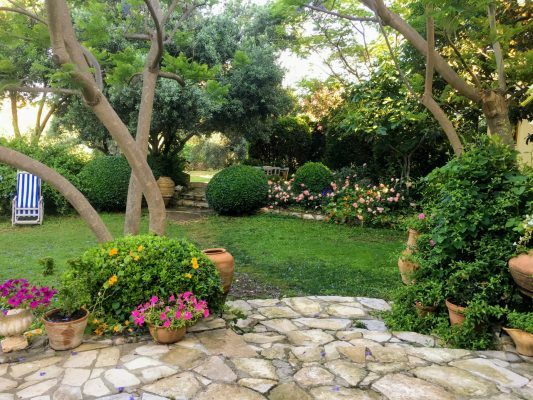 It was designed by Els Proost, landscape architect. 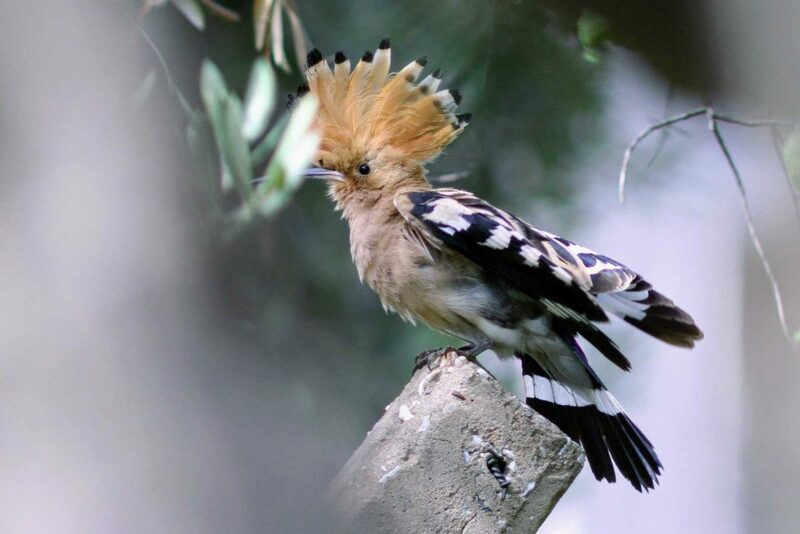 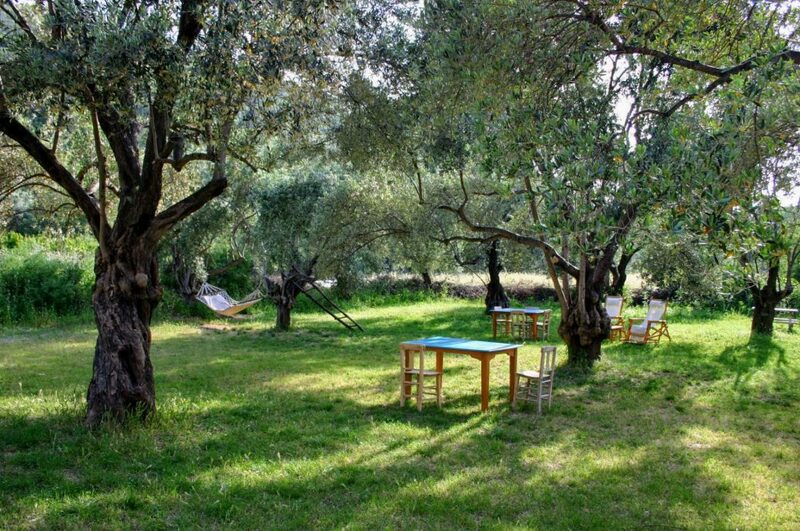 You can sit in the shade of an olive tree or enjoy the sun in a lazy chair. Via the garden you can walk to the sheep trail which takes you to one of the small beaches in only three minutes.